Description: Magazine 'Rakuten puck' (issued twice a month) published by artist Rakuten Kitazawa. Kitazawa is seen as the founding father of modern manga and the first professional cartoonist in Japan. Rakuten Puck, Vol 2, no. 24, 15 May 1913. 24 pages with black-and white and color illustrations. Several English captions. 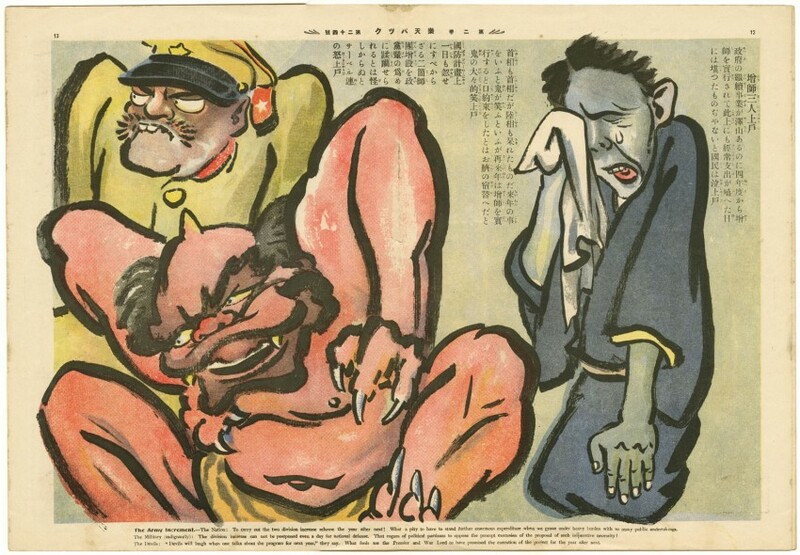 Features comments on historical and current events and political cartoons and lighter forms of entertainment, such as cartoons portraying scenes from daily life. Cover illustration 'A Happy Year Coming'. 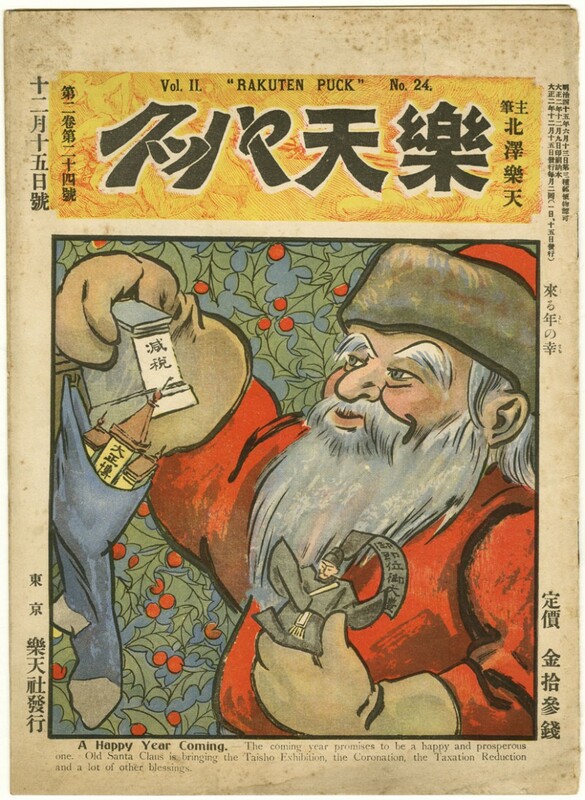 Features Old Santa Clause examining presents: Taisho Exhibition, Taxation Redecution and other blessings. Also features a two-page color-illustration titled 'The army increment'.